The Prosecutor-General's Office has set up a new department to deal with the ex-president. The Prosecutor-General's Office (PGO) has set up a department to investigate crimes committed by criminal organisations, which is expected to complete the investigation and send to court the case against former Ukrainian President Viktor Yanukovych. The new department will include 63 employees, the PGO press service said on 24 October. The case against Yanukovych concerns his alleged efforts aimed at usurpation of power, economy failure, damage to Ukraine's defence capability, seizure of the state-owned residence Mezhyhirya and other. The case was previously overseen by the Department for Special Investigations chaired by Serhiy Horbatyuk. Now Horbatyuk and his 56 colleagues are left with nothing more than the investigation into the Maydan case and its transfer to court. 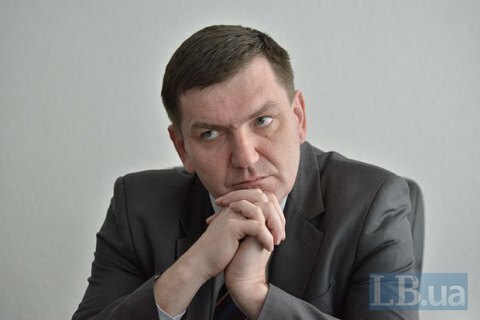 An advisory lawyer board, which acts in the interests of the Heavenly Hundred (the activists killed during the Maydan protests in the winter 2013-2014) is concerned that the PGO will take both the Maydan and Yanukovych cases from Horbatyuk and merge them into one bulky case of 5,000 volumes, which would fall apart in court because there is not enough time to have it properly prepared.